Scrum is a simple framework that emphasises teamwork, communications and speed across complex projects. It allows teams to self-organise and make changes quickly, in line with agile principles. It’s a popular methodology that is used across the globe by SMEs and multinationals alike; companies like Spotify, Microsoft and Ericsson all employ Scrum. At Innate Labs, we provide a solid base of Scrum knowledge, change your mindset to use agile scrum methodology underpinning the scrum framework and ensures the participants learn what is at the core of the Scrum and Agile movement. Professional Scrum Master training and certification program is for those who are involved in software development upon the scrum framework, but has been specifically conceived for those responsible for the successful use and/or roll out of Scrum. The primary audience covers anyone who is working in agile/scrum environment including scrum master, developers, testers, release managers, product owner, business analysts as well as project managers. Innate Labs has been a preferred knowledge service provider to leading MNCs and corporates across india and has been consistently adding value to these organizations through value based qualification certifications including ITIL, PRINCE2, PMP, SixSigma, DevOps and Agile/Scrum. The Professional Scrum Master qualification (PSM®) is the set of best practices in the Agile environment particularly focusing on scrum framework. It is implicit that an individual must go through officially accredited PSM trainings and PSM certifications’ programs/courses provided by an Accredited Training Organization. 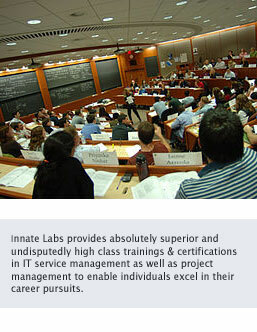 Innate Labs is an accredited training partner (P.T.N.) accredited by Scrum.org. Our trainers are practising agile/scrum experts and are accredited with Scrum.org for conducting the training and certification workshops. The trainers are experienced and seasoned professionals from the industry who have 12+ years of practical experience working in projects based on scrum framework and have played several roles in the agile scrum product environment. It is this experience that enables our delegates to gain the right practical knowledge coupled with the best practice standards helping them to achieve their career aspirations in our 2-day training and certification sessions / e-learning online sessions. ** Applicable only on physical classroom training. The Professional Scrum Master (PSM) certification covers the principles and (empirical) process theory underpinning the mechanics, rules and roles of the Scrum framework. The PSM (Professional Scrum Master) training and certification course includes work-based practical activities and discussions as well as sample questions. Scrum.org founded by Ken Schwaber, the co-creator of Scrum, provides comprehensive training, assessments and certifications to improve the profession of software development across the globe. Although I always claimed that I knew scrum, it was an eyeopener scrum master training session with undoubtedly the best trainer who helped me understand and address the gaps in my current implementation. Excellent scrum master training covering PSM syllabus. Very engaging and practical. Learnt techniques to apply and improve my current role and performance. Special thanks to customer service staff for guiding all throughout. I highly recommend Innate Labs for PSM certification. One of the best scrum training sessions attended so far. Excellent structure and seamless execution with very professional staff of Innate Labs. Thank you and keep up the good work !